If you own an Honor 7X bought from the US, you'll be happy to know that the release of the update to Android 8.0 Oreo for the phone is now right around the corner. Honor's US Twitter account has announced that the rollout will commence this following Monday, on April 30. Aside from upgrading the Android stack, it also makes the phone jump to the latest version of Huawei's UI overlay: EMUI 8.0. So aside from Google's tweaks, such as picture-in-picture and the Autofill API, you'll also be getting a new face unlock feature, the ability to connect to two Bluetooth devices at once, a floating navigation dock, and a way to restore photos you accidentally delete from the Honor gallery app. Last but not least, the Settings menu has been redesigned. 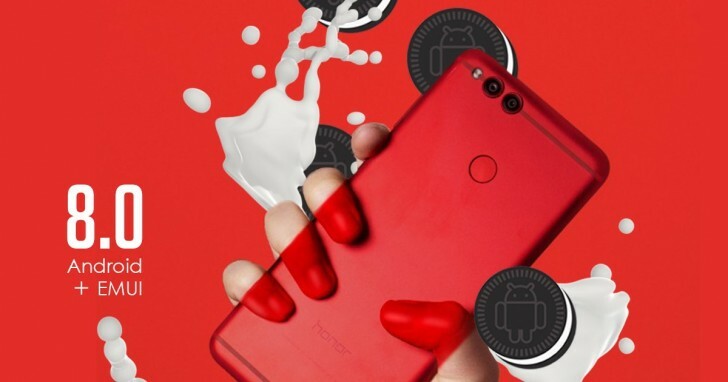 Beta builds of Oreo for the Honor 7X became available in mid-March, and it looks like the testing has now successfully concluded. As usual with such releases, note that the rollout is likely to be phased, meaning that you may not receive the update notification on Monday. It could take a few days before it reaches all the devices.